Want an edgy conch ring without the commitment? This super comfortable ear cuff is perfect for you. It simply slips on and off the ear. Easily customized to fit your ear with just a gentle squeeze. Love the minimalist look? Then this handcrafted pure copper non-pierced ear cuff is for you. Super lightweight and easy to wear. Our unisex ear cuff has been expertly cut from high quality copper, filed, formed, rolled, and polished to a nice shine all by hand. Widths may vary from 1/4 inch (.64 cm) to 1/3 inch (.85 cm) as these are handcrafted. We quadrupled coat each cuff in spray-on industrial strength, hypoallergenic shellac coating. Please allow an extra few days for creation before shipping to allow the sealant to fully cure. The speckling you see in the photo is from the clear acrylic coating that is applied to prevent tarnishing. Just what I was looking for. 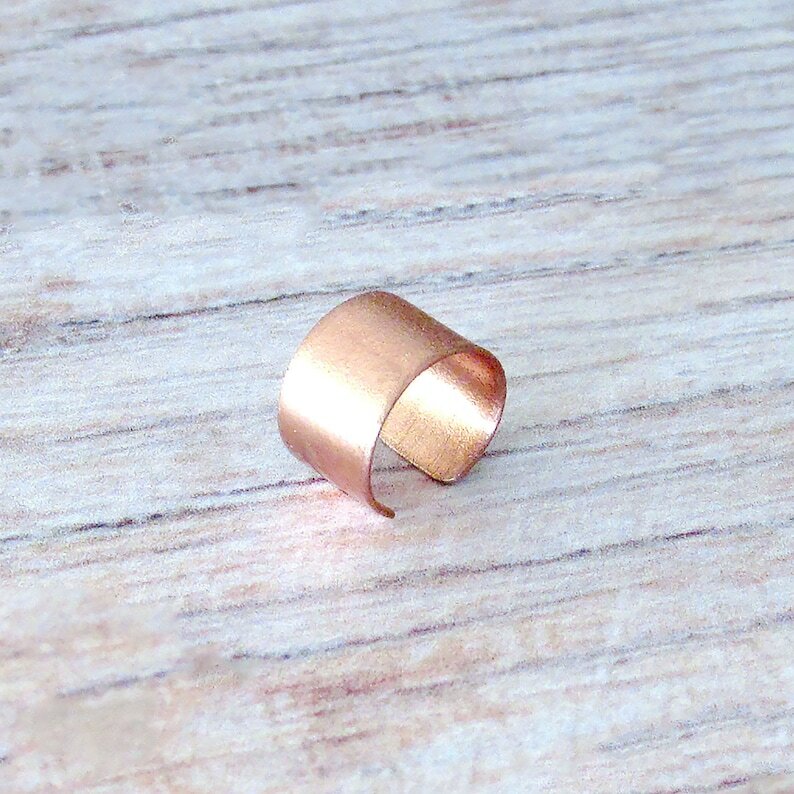 Simple copper cuff. Thanks!